Emascula the Great prowled around the stage, brandishing the first sword for the audience. Stella climbed into the ornate lacquered box, smiling and waving as she settled herself in. Only her head and feet were visible, her body replaced by the black cabinet. Emascula thrust the first sword into the box. Stella pulled an expression of surprise, and the audience gasped when she wiggled her feet. Emascula fetched a second sword from the basket beside the box, and thrust it into another slot. Again the audience gasped, and Stella continued to smile. Four more swords were inserted, each at an angle to the previous blade. Stella's smile never wavered, and Emascula tired of the gasps of the audience. They gazed up at him with a mixture of awe and disbelief, as if they'd never seen this before. 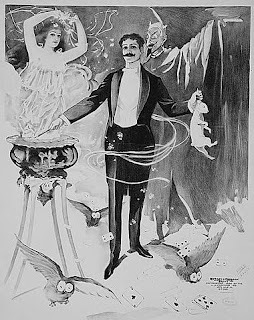 This was the eighty-second time he'd performed this trick, and he knew that illusionists besides himself used a similar approach. How could this be so new to them? Bereft of swords, Emascula reached into his inside pocket and withdrew a wand. He waved it above the box, tapping the cabinet three times, and Stella squeaked. Emascula stifled a grimace, making a mental note to replace her as soon as possible. She couldn't sell the illusions, all she could do was smile and simper. He separated the two halves of the cabinet, spinning them around so that the audience could see Stella's head at one end, and her feet at the other. Swords protruded from both halves. The audience gasped and cooed with delight, and Stella wiggled her feet to much applause. Emascula pushed the two halves of the box back together, and pulled the swords free, tossing them to the floor with a clatter. The last sword removed, he opened the box with a flourish. Stella clambered to her feet and posed, apparently unscathed. The audience erupted into applause and cheers, the deafening clamour rolling around the auditorium. Emascula bowed and adopted his trademark final flourish, but sighed inwardly. These cretins were so easily fooled. Parting them from their money was the oldest trick in the book. There would appear to be three major 'versus' debates going on in publishing these days. You've got Self-publishing versus Traditional Models, there's Work for Free versus Alternate Income Stream, and Pants versus Plotting. I'm not going into the first two, but the third is one with which I've wrestled for some time. The key pros and cons of Pants versus Plotting are quite straightforward. 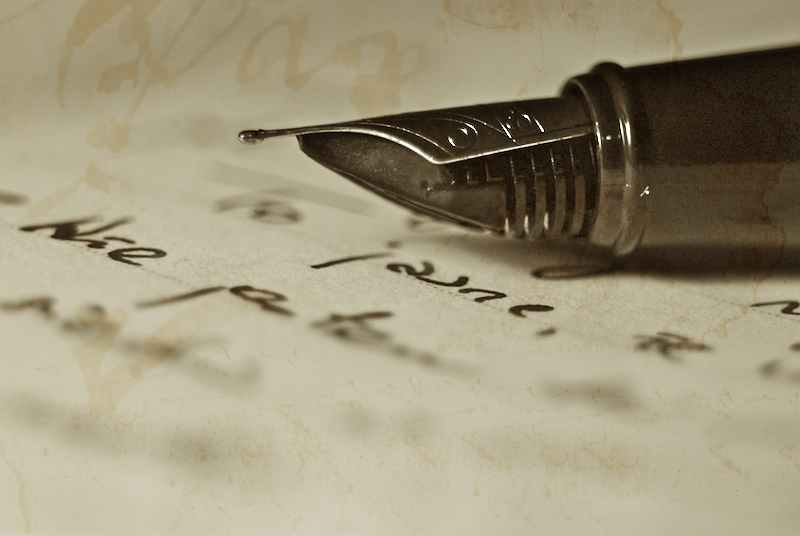 Writing by the seat of your pants lets you enjoy the creative process, going where the story takes you, and essentially 'making it up as you go along', but you can end up with dozens of dead ends, characters you don't even need, or endings that just flat out don't work because they don't make sense when compared to the beginning. By contrast, plotting allows you to map out the work before you start, so you never sit down to write without knowing where the story is going, and you can work out story kinks before you even finish the book/story - it's much easier to rearrange elements in an outline than it is in the finished piece. Unfortunately, it can feel restrictive, and remove some of the 'surprises' that pop up when you're pantsing. For most of my works, I've used a combination of the two. 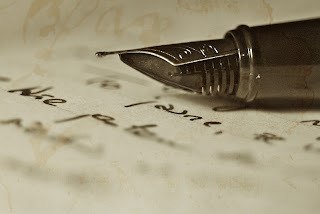 I've known the major points of the beginning, middle and end, and my writing process has been simply joining the dots, making it up as I go along to get from A to B. It lets me keep an ending in mind, but gives me enough freedom to give my imagination room to gambol about. I came across Story Engineering by Larry Brooks and while it's a fascinating book with a lot going for it, I got sucked into the mindset of "You must outline to the very last detail", and it completely derailed my creativity. I wrote The Necromancer's Apprentice using his method, but I only started to enjoy it when I'd finished my first draft, and went back to insert scenes that I felt would give the story life. I've got another novella I want to write, and I've fully outlined it, but I find I can't start it - weirdly enough, I know what needs to happen where, but I don't know where to start, and I have that ever present worry that I can't do the outline justice. I wrote a Friday flash a couple of weeks ago called Contagion, and I had a few calls to turn it into a novella. I dashed out an idea for the beginning, middle and end, and just started writing. Earlier today it passed the 6.5k mark. It's going to need a lot of editing but the important thing is that I'm writing again. Aside from Friday flashes, I haven't written anything new in a long time. 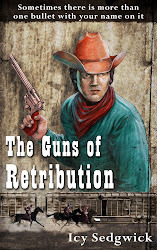 I blogged last week about the fact that I'm selling the last of the print run for my pulp Western, The Guns of Retribution. These were the books published back in September 2011 when Pulp Press put the book out, and I would love for them to go to good homes. The last of the print run arrived on my birthday this year, so it was as if Grey O'Donnell was sending me a greeting of his own! 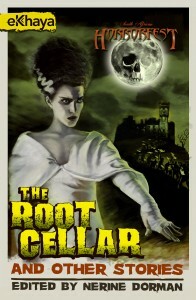 The book has had good reviews, and if you like pulp adventure tales, then you just might enjoy it. I'm happy to sign them if required, and they're available for just £4 plus shipping, which is a bargain considering the cover price of £7.99. Chances are there won't be another print run so if you do want a copy, then grab them while I still have them! 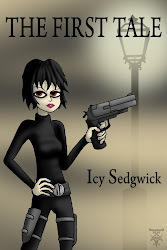 However, I'm also pleased to announce that The Guns of Retribution now has a new electronic home with Beat to a Pulp, and is once again available for the Kindle! You can buy it from Amazon US or Amazon UK (and no doubt your own homegrown Amazon retail site), although this time it features a slightly different cover. The fabulous illustration of Grey and the train robbery by the fantastic Alex Young are still present, but the rest of the design was put together by yours truly (with suggestions by Nerine Dorman and Carrie Clevenger). I've also managed to keep my tagline! I'm really proud to be part of the Beat to a Pulp family, and you can check out their other books if you like your fiction pulp-y. I'm a particular fan of Heath Lowrance, but I'll always have a soft spot for Edward Grainger's Cash Laramie stories. Of course, I've now got new motivation to finish the sequel to The Guns of Retribution, a horror/pulp tale named To Kill A Dead Man, and there are plans for more stories too. It's onwards and upwards from here, people!